Plant-Based. Non-GMO. Gluten Free. 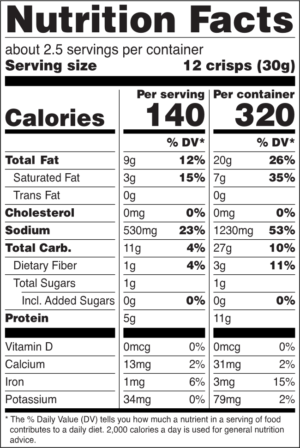 5g of Protein per Serving. 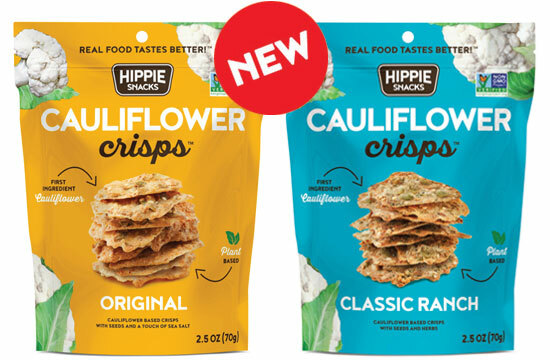 Our Cauliflower Crisps bring real, straight-from-the-source cauliflower to you in a convenient, crispy and delicious snack. 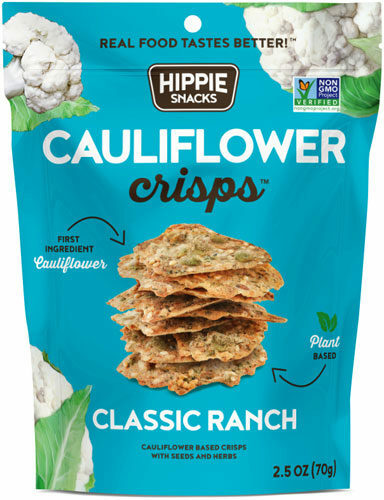 Seasoned with sea salt, seeds and herbs, these crisps give you all the roasted cauliflower flavour you crave, with the crunch you deserve. Now that’s a real cauliflower snack! 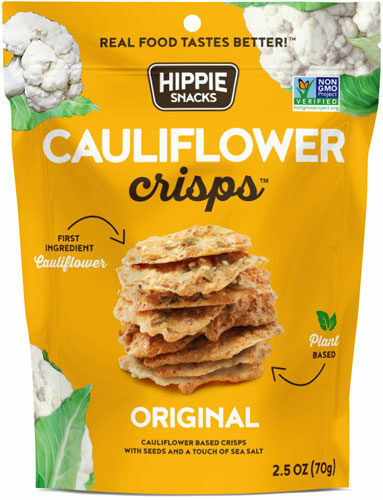 Baked with real cauliflower, pumpkin seeds, sesame seeds and a touch of sea salt means these plant-based crisps give you all the roasted cauliflower flavour you crave, with the crunch you deserve! CAULIFLOWER, PUMPKIN SEEDS, COCONUT MILK (COCONUT EXTRACT, WATER), BROWN RICE FLOUR, TAPIOCA STARCH, SESAME SEEDS, SEA SALT, MUSTARD FLOUR. MAY CONTAIN: SOY, MILK, TREE NUTS. CAULIFLOWER, PUMPKIN SEEDS, COCONUT MILK (COCONUT EXTRACT, WATER), BROWN RICE FLOUR, TAPIOCA STARCH, SESAME SEEDS, SEA SALT, HEMP SEEDS, ONION POWDER, GARLIC POWDER, DILL WEED, CHIVE FLAKES, DRIED PARSLEY, BLACK PEPPER.